The creative use of content can give e-commerce customers a unique and memorable shopping experience–one that creates powerful brand loyalty and convinces customers to buy. 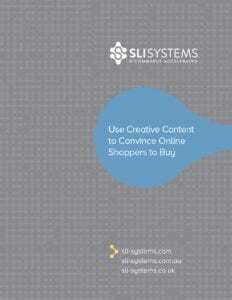 Download Use Creative Content to Convince Online Shoppers to Buy. Power Tip: Use your FAQs. The questions your customers ask can also fuel ideas for other content – a new blog post or a helpful how-to video.